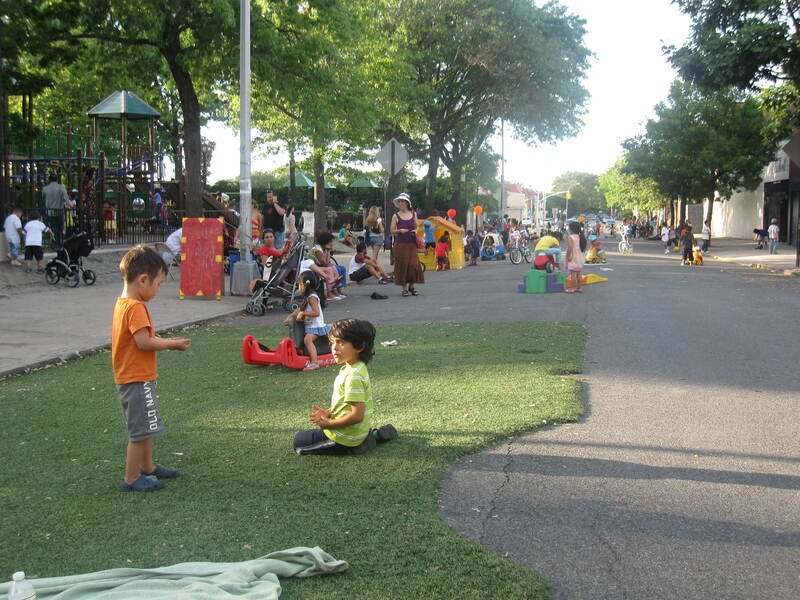 This project addresses a critical need for more open space in Jackson Heights, Queens, which ranks second-to-last in available park space per resident of all the neighborhoods of New York City. 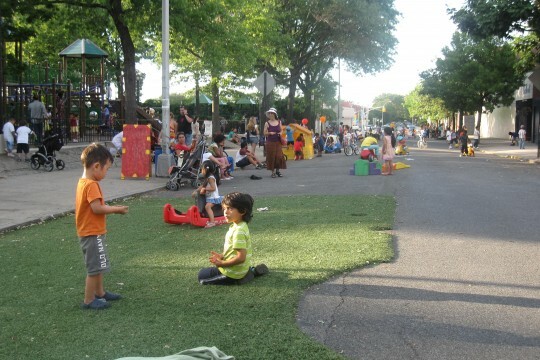 The Jackson Heights Green Alliance (JHGA) has worked with the Department of Transportation over several years to close a one- block stretch of 78th Street off to cars in order to create a play space. At first, the street was closed only on odd weekends; then it was for whole summers. Now the city has agreed to close the block permanently. Overcoming neighbors’ and business’ fear of losing parking spaces, JHGA succeeded with an incremental approach that convinced residents that having more open space was worth the trade-offs.